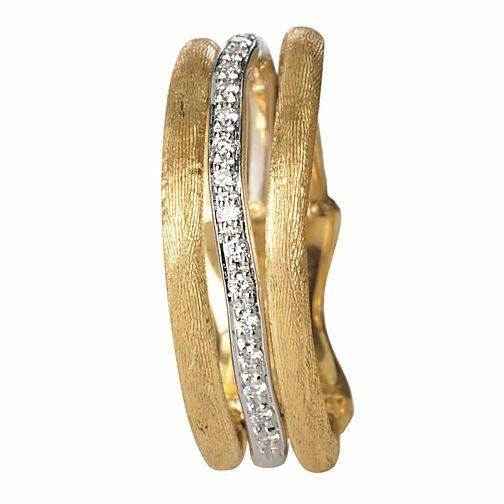 Marco Bicego 18ct yellow gold and diamond stack ring. A contemporary alternative to the cocktail ring. The Jaipur Link collection features interwoven innovative designs in white and yellow gold.